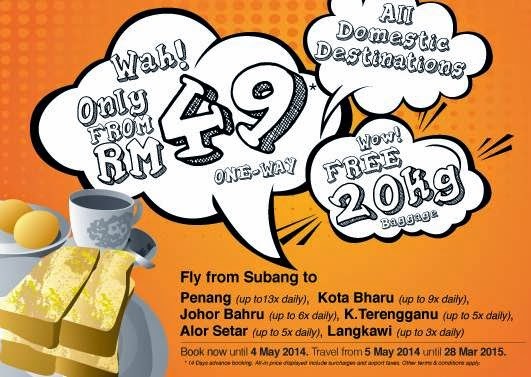 Fly to any Firefly domestic destinations for all-in price from RM49* one-way. All flights comes with FREE 20kg baggage! * 14 days advance booking. All-in price displayed include surcharges and airport taxes. Other terms and conditions apply.